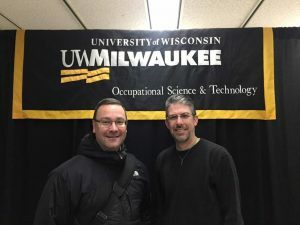 Field Notes: Recently, Blake had the opportunity to meet with Dr. Jay Kapellusch from the Occupational Science & Technology Department at the University of Wisconsin-Milwaukee to discuss a variety of topics, including the intricacies and updates to the Revised NIOSH Lifting Equation and Lifting Index thresholds, the new Snook & Ciriello Pushing and Pulling equations, the impact of job rotation on reducing musculoskeletal disorders (MSDs), research supporting forceful exertions as the primary risk factors for MSDs, and the cost of forceful exertions, among others. Additional Activities: Blake was updated on the computer vision algorithms that calculate the ACGIH Hand Activity Level and the NIOSH Lifting Index during his meeting with Dr. Robert Radwin and his graduate students from the University of Wisconsin-Madison. 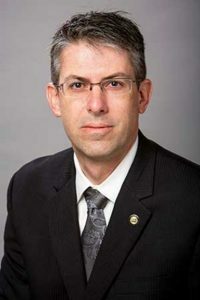 Expert: Dr. Jay Kapellusch’s (PhD: University of Wisconsin-Milwaukee) primary research interests are in the development of quantitative ergonomics job design algorithms to design highly productive and safe jobs in the manufacturing and service industries. Integrating these algorithms in modern industrial engineering philosophies (lean manufacturing and six sigma) and traditional industrial engineering tools and techniques (methods engineering and statistical quality control) will provide industry a comprehensive job design system.